Thousands of students will find out whether their A Level results are up to scratch for their desired uni place tomorrow. But even if everything goes to plan, there could be a nasty shock around the corner – rent’s on the up. Mere hours from now students around the country will be ripping open their A Level results and nervously poring over their grades. There’ll be roars of sheer joy and yelps of disappointment – so here’s a pre-emptive congratulations to those who did well and commiserations to those who didn’t. Of course, some already know their grades due to a premature leak by the exam board. So many will already be filling out their clearing process forms for the few remaining places. The National Union of Students predicts that the average cost of living and studying for a fresher outside London is around £16,000 (per year). It’s a hefty bill, and although fees will take up the bulk (especially when they go up next year) one the biggest investments for a student is their accommodation. And sadly, rent is on the up. Average weekly rent for students across the UK is now £67 a week – up 3% on last year – or so says a survey of 86,000 properties by AFS.com. That increase isn’t too shocking, but the numbers aren’t so sedate when you have a gander at particular places. You’ll find Leamington Spa (handy for Warwick Uni), Newcastle-under-Lyme and Sunderland at the top of the movers and shakers. Rent in these places has gone up by 16% for the first, and 13% for the latter two. Unsurprisingly, the most expensive place for students is still London, where they’ll have to find £108 a week, with Exeter in second place at £95. As if students didn’t have enough to worry about – they now have to keep an eye on how rental markets are developing. AFS.com thinks these increases are down to better quality digs and universities in these particular locations becoming more popular. In short, greater demand equals higher rent. 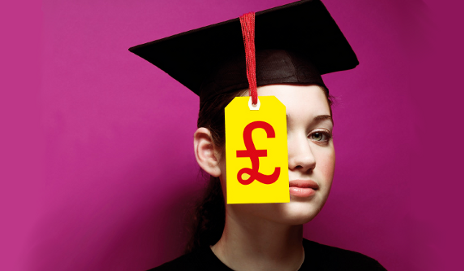 So should you turn down your favoured uni for a city that’s cheaper to live in (like Middlesbrough at just £44)? I don’t think so. Make sure you work out how you’re going to afford it (through loans, grants, overdrafts etc.) but certainly don’t turn down your dream uni. Not everyone agrees with me. Loads of students are now choosing unis closer to home. More than 310,000 students opted to study at local unis while living at home – that’s 19% of all undergraduates (compared to just 8% in 1984). Plus, this is expected to rise to 47% of students over the next decade. Personally, I think it’s a shame that students have to resort to being stay-at-homers. Isn’t a large proportion of the uni experience about moving out, ripping yourself away from your parents and jumping head-first into uni life? I studied at Nottingham uni – a good six-hour train journey from my home town. And although I had an offer closer to home, I’m sure I would have felt a little bit depressed having to return to the family house every night (no offence mum!). You quite simply need your own pad. Luckily my rent was less than £60 per week throughout, and dropped to a tasty £45 (including bills) for my third year – I can thank a savvy uni mate for that! But times don’t appear so blasé for students anymore – everything seems so serious and grown-up. There’s no way I would have turned down my dream uni due to high rent, but maybe you’re more mature than me…? While I agree that it’s a real shame so many students won’t be able to have the “full” uni experience and live away from home during their studies how else can those from poorer backgrounds afford it now? Hi Waylander01, I basically agree with you – I truly think it’s a shame. And less about the reasons you have said, but because they may have to turn down their preferred uni. If you are from a poor background, you can get a bigger loan and also a grant to help you. Living at home provided me with free accommodation, good meals, clean clothes and use of the family car in the evening. I’m sure I would have got a lot more out of my time at university if I had moved away. I think it would be good for everyone to take a break before going on to university, giving a year or two to build up some money and to decide whether doing a degree is right for them. Students who do this are generally much more committed and have a much better idea of what they are planning to do when they graduate. Just don’t leave it too long because it gets much harder to get back into the habit of studying and achieving good marks. I know that from speaking to the students I teach. Some students get homesick so moving away from home before going to university might be a good idea. Spare a thought for the parents. We do love you but don’t necessarily want to cook, clean and wash for you all our lives. We’re all for you gaining your independence and spreading your wings and that is part of the joy of the higher education experience. I would rather give my son the money I would save on his keep as a contribution towards his living expenses than have him choose a Uni near home just to save money. I went to Uni in 95 and weekly rent in Cambridge was £50. So average rent has just gone up in line with inflation, especially considering the “posh” nature of the town, not really an issue in my view. The issue is having to pay for fees, without grants. In 95, I got a grant and didn’t have to pay fees yet still ended up having to get student loans. Nowadays you have to pay for everything, which is so wrong. Rents are just indicative of the market, did you expect them to go down? I certainly didn’t. Oh Patters. Figures can’t be sedate.